If the idea of reviving Bye Bye Birdie has you thinking (or groaning) “Camp Spectacular,” please adjust your mind-set. “Lots of things that have trafficked in the sixties feel as though they’re delivered in quotations, as opposed to trying to make them fresh,” says director Robert Longbottom (Side Show). 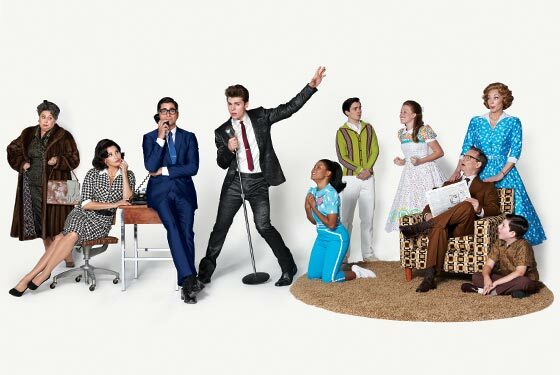 His mission, in defiance of the Broadway trend toward irony, is to rescue both show and characters from that fate—to bring them closer to the true spirit of the 1960 show. He’s restoring key character-building scenes cut for the film version in 1963, and he took the show’s sense of movement from the “Carousel of Progress,” Walt Disney World’s earnest Animatronic parade of technological advancement first built for the 1964 World’s Fair. Birdie’s crazed teenage fans will be played by actual teens (bye-bye, Ann-Margret), and even Gina Gershon is returning to her innocent roots, playing a role (Rosie) she first did in junior high. Bill Irwin will reclaim super-straight dad Harry MacAfee from what Longbottom calls “one of the most camp performances ever,” by Paul Lynde. John Stamos, who some might see as more of a teen idol (and who almost played Conrad Birdie in a 1995 TV-movie remake), will be taking on Birdie manager and mama’s boy Albert. Stamos insists it suits him: “Behind closed doors, I’m insecure and quirky and nervous and fidgety. I’ve just tapped into the little boy in me, which is not that hard because I’m still having problems growing up.” Conrad himself will be played by a genuine 23-year-old hunky up-and-comer, Nolan Gerard Funk. “He cannot be a man in his thirties in a gold-lamé suit,” as he was onscreen, says Longbottom. “I wanted to liberate us from that and find a new American idol.” Can’t get more modern-yet-timeless than that.